Back in the middle of my single years, I rented a basement apartment from a woman I’ll call Annie. About a dozen years older than me, she was also single and lived alone above me. Whenever I saw her in passing and asked “How are you today Annie?” her reply was always “Oh I’m grateful.” After a while it got annoying. I’d think Oh come on, nobody is grateful all the time, yet as I got to know her I came to realize it was true. Um, excuse me? I don’t think so. Annie explained The Law of Attraction and lent me her DVD of The Secret. I stomped down the stairs and put the DVD out of sight in a cabinet. A week later I finally watched The Secret, home alone on a Friday night bored and still frustrated at my current romantic situation. I can say without a doubt that my life has never been the same since. The presentation is cheesy as hell, but the information is solid. The speakers area charismatic, and by the end, I was practically standing up cheering for myself and all the great changes I was about to make! The next day I went out on my lunch break and bought The Secret book.That night I poured over it, taking notes, then I listed three things I was grateful for at that moment. I vowed to myself that I would start saying it every day: I am grateful. I wrote those words on a Post It and stuck it to my bathroom mirror. I’d stand there, look at myself and repeat those words. It felt ridiculous at first. I felt like a huge phony. But the funny thing is, after a while I started to believe it. The more I said it, I started to know it, and it became easier to see the things I was grateful for. 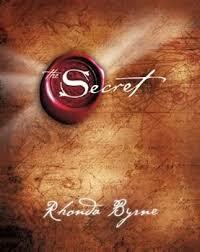 A few months after learning about The Secret, I went through a bizarre, messy short lived relationship and break up. It certainly wasn’t the first time I’d been dumped, but this time was different. In the midst of my world spinning and my heart hurting, it occurred to me that this situation was happening for me, not to me. And that was truly my turning point. From there on out, I have looked at my world through a different lens. I’m sure you’re thinking that’s a great story but how does it apply to you right now? 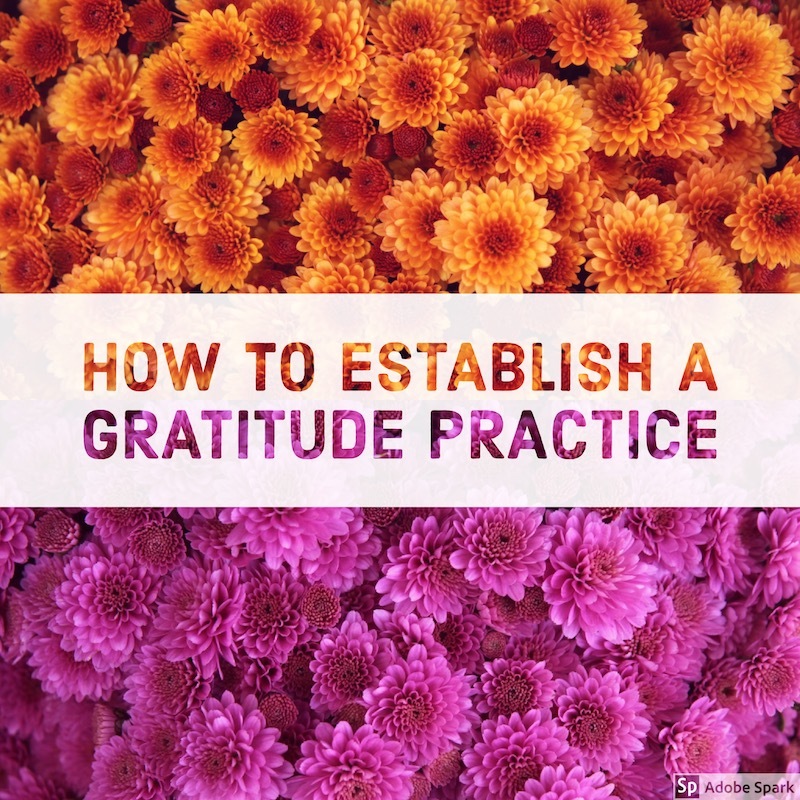 There are tons of articles and books dedicated to the subject of gratitude. Studies have been done which show that people who find joy in every day life are genuinely happier. I can recommend a list of books and you can read as much as you want but the key to establishing a gratitude practice is this: You have to start. So start today. 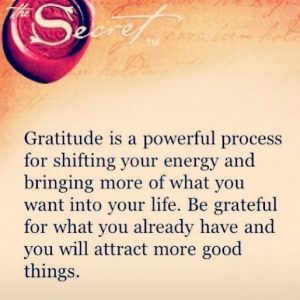 Living a life of gratitude is about acknowledging what you’re thankful for in your world. It’s simply asking yourself: What bought me joy today? The goal (for me at least) is to take attention and energy away from the negative. Maybe I had a lousy day, but instead of lying in bed at night wallowing in all the mistakes I made, I try to turn my attention to whatever I enjoyed amidst the chaos — the sunshine, a tummy soup for lunch, my dog looking cute in his sweater. It’s not always deep thoughts. Sometimes it is. I feel so strongly about the subject of gratitude because it it has drastically improved my quality of life and I want others to have the same experience. I hope you find my story useful and my urgings helpful and supportive.